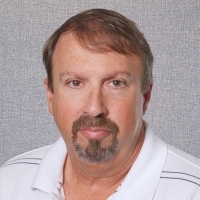 Chuck is the Business Unit Manager for Dampers, Diverters and Fabric. Chuck has over 34 years of experience in the industry, working in various roles and departments with both Pathway Bellows and Senior Flexonics Pathway/Metroflex Dampers. He has had detailed involvement in planning and executing on-site service projects, and designing fabric expansion joints for all applications. As the Power Generation Business Unit Manager, he is in charge of the operations at the Lewiston, Maine facility operations of Senior Flexonics Pathway. Fill out the form below to send your question directly to Chuck Greer, or go back to select a different expert.